Create the perfect farmhouse style in any room using these chic decor ideas. 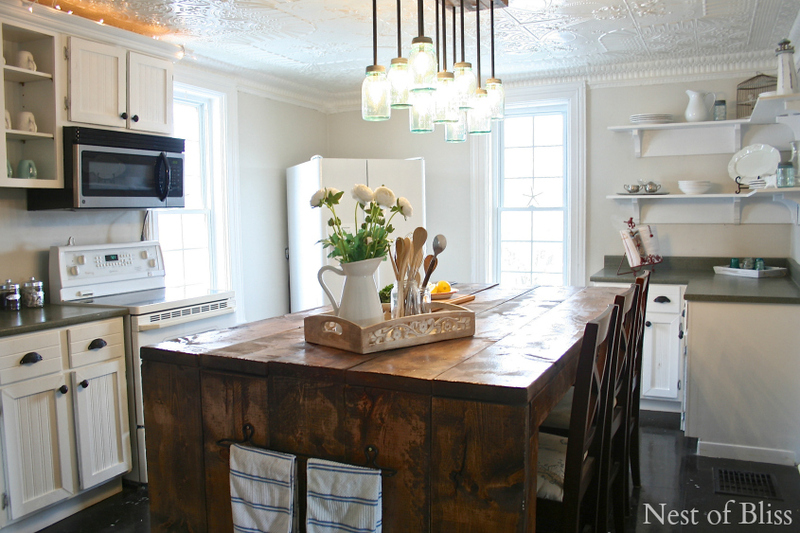 You don’t need to live in the country to enjoy a farmhouse styled room. You just need a few chic farmhouse decor items! If you love farmhouse style, get ready to be inspired. You can remodel an entire room from floor to ceiling to create a complete look, or just add a few pieces here and there for farmhouse charm. Either way you decide to go, head down to your local thrift shop, antique dealer, or home decor stores to start your search for these eight chic farmhouse decorations. When you walk into a room, there are certain pieces that help define the style the homeowner is going for. Chicken wire does that for a farmhouse styled room. You can use it in wall art, lighting, seasonal wreaths, and so much more. 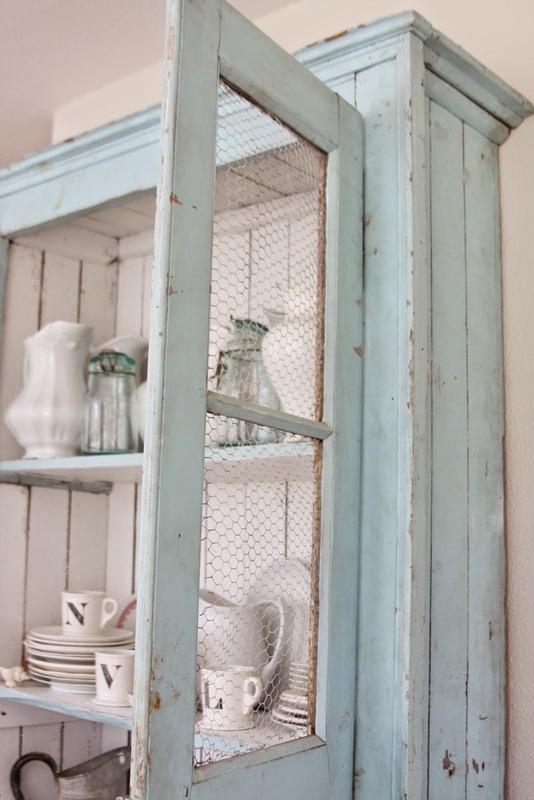 One farmhouse décor idea that is trending on Pinterest is chicken wire cabinets. Simply replace the glass in a repurposed cabinet with chicken wire, stapling it on the inside of the door over the open frame to attach. For a less industrial look, paint the chicken wire white. Old, rustic shutters are another great farmhouse decor idea that can be used in many different ways. For a farmhouse bedroom use shutters as your headboard, in the kitchen use them as your window treatments, and in the dinning room create a unique table runner and layer other farmhouse decor items on top. You can purchase new shutters at your local home improvement stores and stain them to look old, or search antique shops and garage sales for authentic rustic shutters. 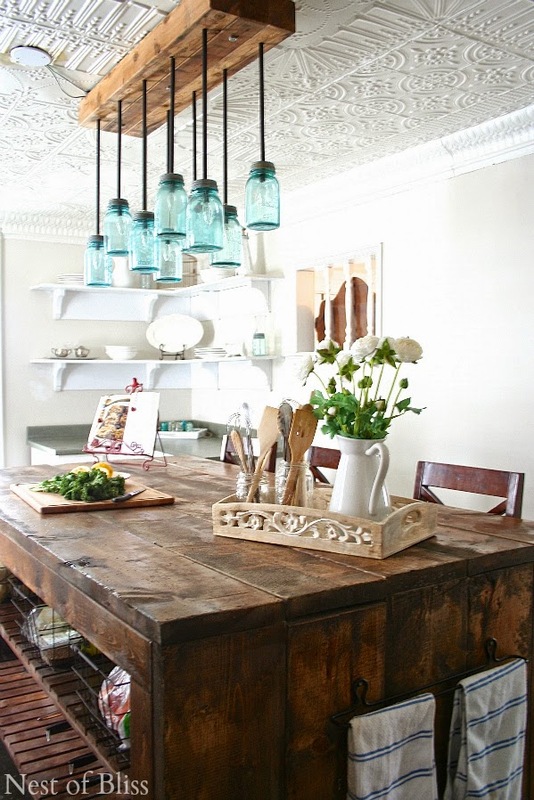 One major item from this kitchen that would inspire anyone to create a farmhouse styled room is the stunning mason jar chandelier. Whether you use them in your kitchen to display your dry pasta, in your bathroom as storage containers, or just decorate with empty ones, there is no wrong way to use a mason jar. 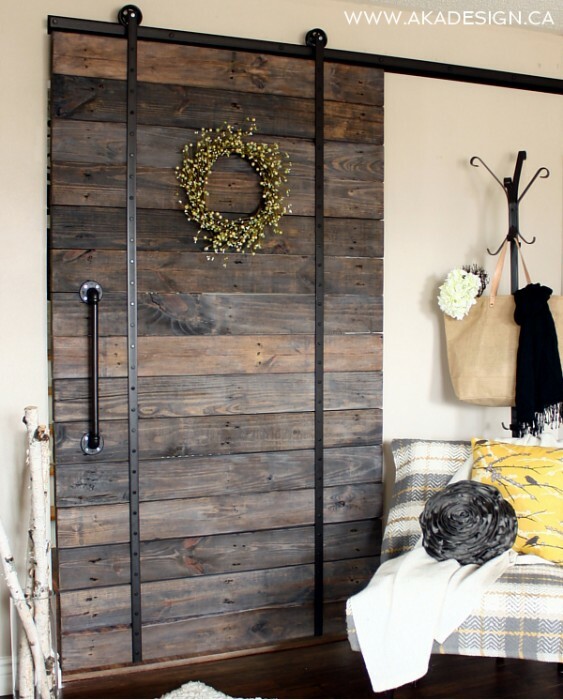 What’s a farmhouse styled room without a barn door? The wonderful thing about barn doors is their versatility. Whatever room you put them in, barn doors help define a living space, and provide privacy so kids can enjoy games, TV, and play time while the adults are conversing in the dining room or kitchen. DIY your own sliding barn door with this detailed tutorial, or purchase a door and barn door roller kit at your local home improvement store. 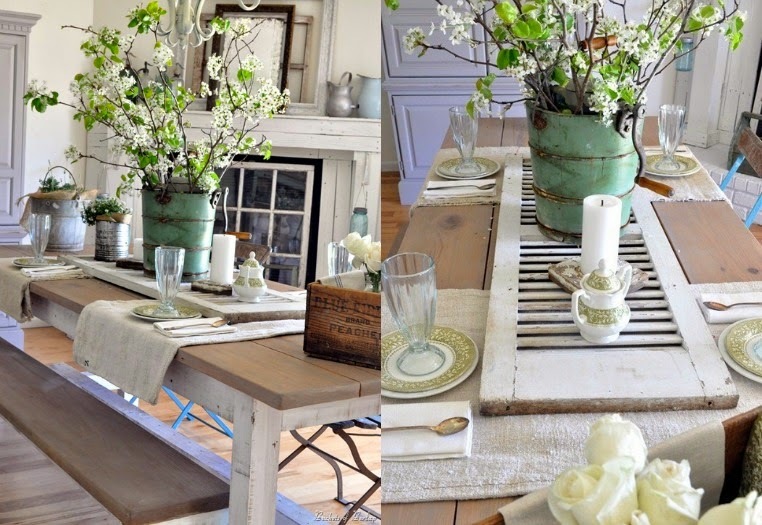 A farmhouse dining room isn’t complete without a farmhouse table. 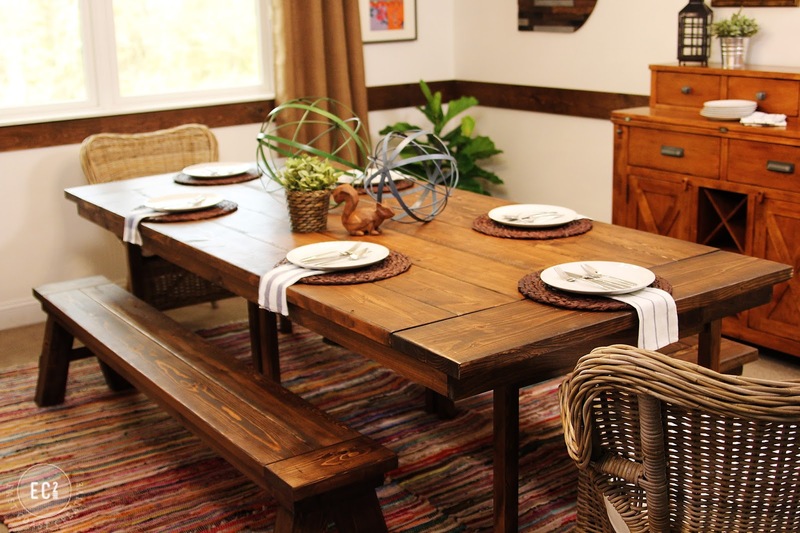 You can purchase farmhouse tables in many different styles, finishes, and sizes, and use bench seating on one or both sides for a true farmhouse look. If you’re really adventurous, you can DIY one using this tutorial. Mason jars aren’t the only farmhouse decor idea for storage; wire baskets, wicker baskets and galvanized buckets look great as well. 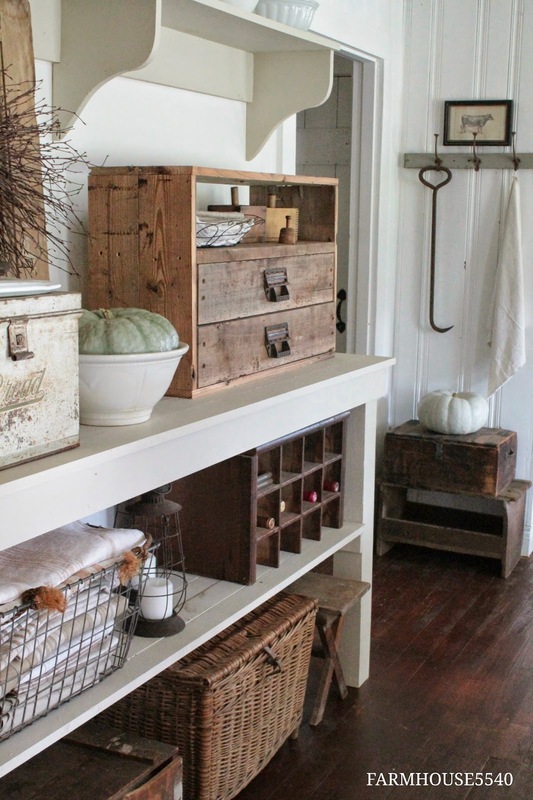 Use any of these storage items in your farmhouse styled room for a finishing touch to pull the space together. Store shoes inside wicker baskets in your entry way, use wire baskets to store pantry items in your kitchen, or use galvanized buckets as decorative pieces to display seasonal items. The trick to giving your shelves the farmhouse look you’re going for is by purchasing shelves that have a rustic, barn wood feel. Or, you can stain pine wood to create a rustic look. Style your shelves with other farmhouse décor items to complete the look. 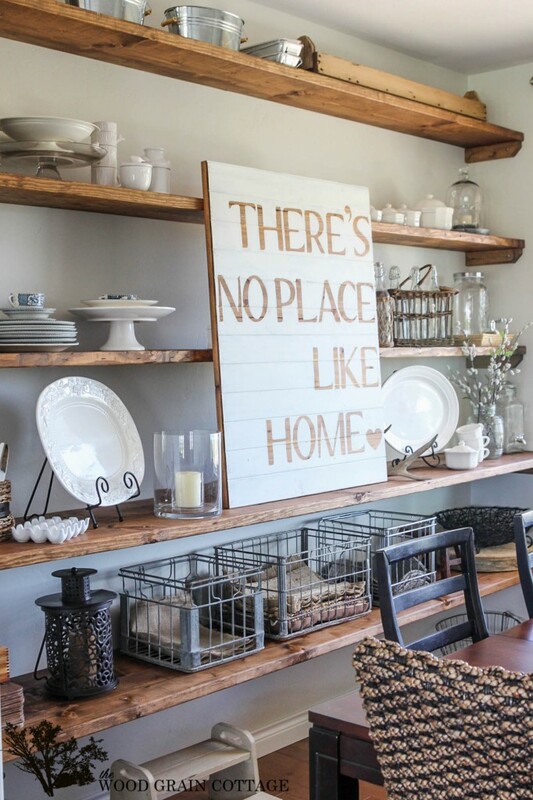 Rustic signs add character to any farmhouse styled room. 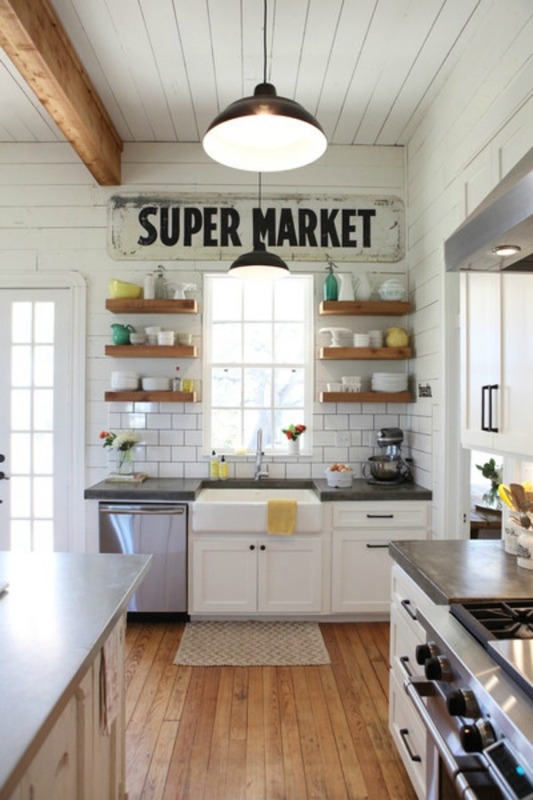 Choose signs that have big typography or feature farm animals to really give your space the complete farmhouse look. Would you style your home with any of these chic farmhouse decor ideas? Which one is your favorite? Contributor, Porch.com. Diana Trotter is a lifestyle writer and editor from the Philadelphia area who blogs about DIY projects, her favorite recipes, and life in the 'burbs. When she isn't blogging, you can find her volunteering with her local women's group, catching up on her favorite TV shows, or relaxing at home with her husband and stepdaughters. Connect with Diana on her blog, TheWorldAroundHer.com, or on Twitter @WorldAroundHer.